When it comes to anxiety relief techniques, I hesitate to use the term "best. "But because people ask me all the time, which are the "best anxiety relief techniques," I thought I should address the question. When it comes to anxiety relief, there is no one size fits all. That is because there are different types of anxiety, and the best technique to use in one situation, may not be applicable, or even possible, in another. For example, if you experience anxiety while driving, and your hands need to be on the wheel, using the Two Handed Stress Cure which requires you to put your hands on your head, or a closed -eye visualization technique, doesn't make much sense, does it? Similarly, steps for overcoming social anxiety are going to be different than for calming general anxiety at night, etc. Therefore the best thing to do is to familiarize yourself with a few different strategies so you can have them in "your back pocket" should the need arise. The 10 best anxiety relief techniques below should give you plenty of options. These anxiety techniques are effective and easy to learn. You can also combine two or three of them to create your very own secret sauce for keeping yourself relaxed, focused, and in control. You might notice that one thing all these anxiety relief techniques have in common is that they shift your focus from your worries to something else. Please remember that anxiety self help techniques, are just that, and not meant as a substitute for medical assistance or professional counseling. So use your common sense about getting professional help if needed. 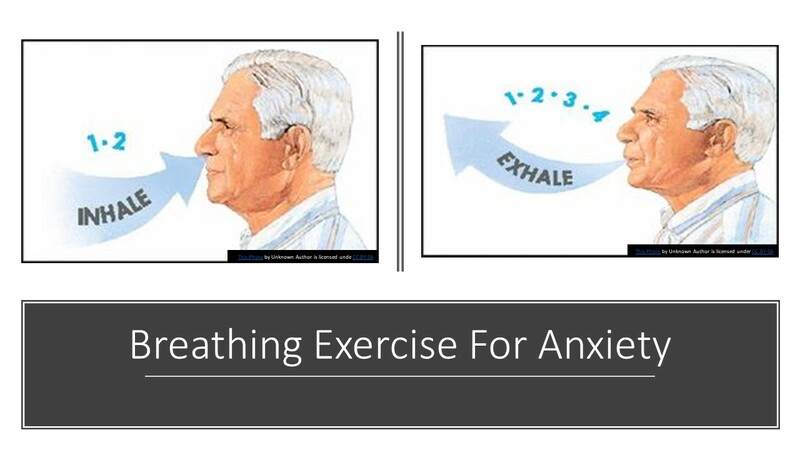 Breathing exercises for anxiety are the most common type of anxiety relief techniques because they are easy, effective, and adaptable to all types of situations. Breathing typically gets shallow when people feel stress. Stress also triggers a fight/flight response As a result, the oxygen in your blood decreases, which in turn, compromises your immune system and ability to think clearly. Breathing exercises for anxiety require you to focus on taking long, slow, deep breaths, and this helps to oxygenate your blood. Because deep breathing restores the oxygen in your blood stream, it helps to "clear your head" by bringing normal functioning back to the executive decision-making part of your brain. Anxiety comes from fear producing thoughts. We feel anxious when we are worrying about something that could happen -- not something that is happening now. 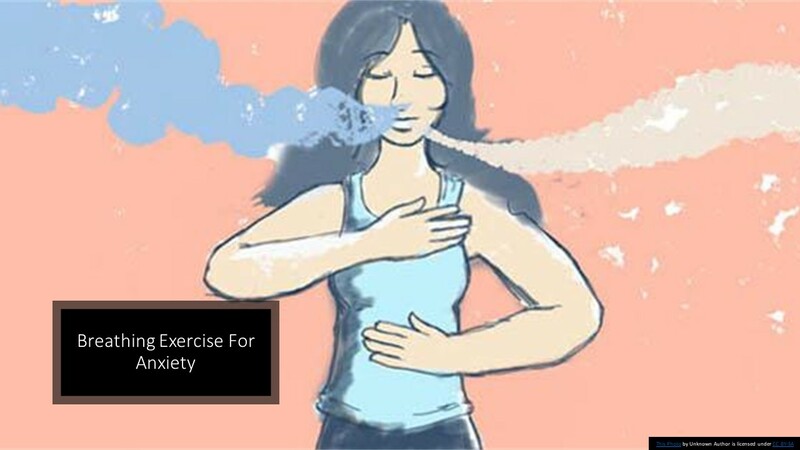 Breathing exercises for anxiety get you to focus on your breath. When you focus on your breath, you are not focused on fear producing thoughts. Deep breathing releases endorphins that improve your mood and sense of well-being. But it won't happen on its own so start breathing now! Focus on your breath. Because an open mouth stimulates the nervous system, I find that breathing in and out through your nose, works better when applying anxiety relief techniques. Keep your attention on the tip of your nose or nostrils as your breath flows. Start off breathing in for a a slow count of four, and then out for a slow count of four. When you can do this with ease, add a pause at the top of the inhale and the bottom of your exhale. When that becomes easy, increase your count to a slow count of six, pausing as described. Then build up to a slow count of ten, but only if that is comfortable for you. The important thing is that you breathe fully, filling your belly and lungs with air, and then let all the air out. And that you complete the process in a slow, controlled way -- without strain or stress. Because you can adapt this technique to almost any situation, even while driving, we rank breathing exercises for anxiety #1 in our 10 best anxiety relief techniques. My personal favorite anxiety relief techniques are two ancient spiritual practices: Tonglen and H'oponopono. 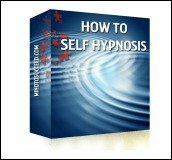 To some people, including these kinds of "ancient" remedies on a site dedicated to mind power techniques, may seem odd. But to me, mind power techniques are about becoming more conscious as human beings. Naturally, that includes spiritual growth. From that perspective, ancient practices are among the more powerful mind power techniques and methods you can find for personal growth. 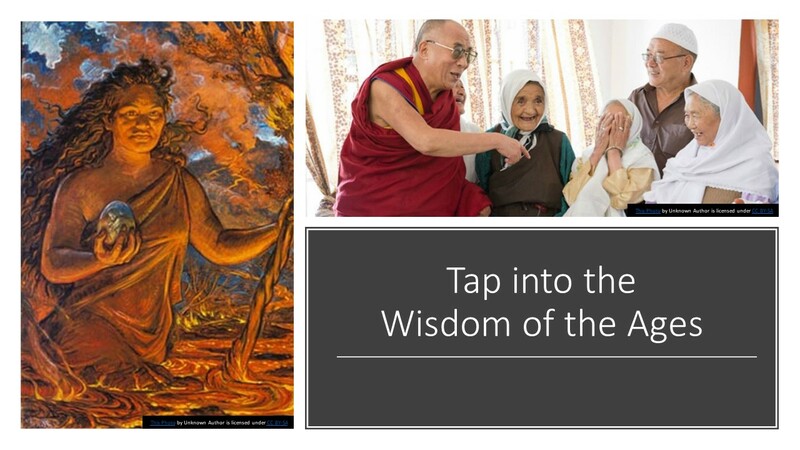 Tonglen is a Tibetan technique that originated in India, as a meditation practice, to cultivate compassion for ourselves and others. When I feel anxious about life, I find that five or ten minutes of Tonglen, completely transmutes my fears into feelings of acceptance, oneness, and love. Please see this page for specific instructions on practicing and applying Tonglen. H'oponopono is an Ancient Hawaiian practice of forgiveness and reconciliation. The Huna's believed that our life purpose is to clean up and heal the wounds of our past --our own as well as our ancestors'. With H'oponopono we resolve inner conflict by accepting responsibility for "cleaning up" our internal and external conflicts. You can learn more about it here. Mind visualization can be used to change how you feel, stop procrastination, and even overcome fear and self sabotage. Right now you can visualize yourself in the most relaxing place you can imagine. If you really take a few moments to immerse yourself in soothing, relaxing surroundings, where you feel safe and comfortable, as a result, you will immediately feel more relaxed, safer, and more comfortable. It would be automatic. As I mentioned earlier, anxiety comes from FOCUSING on fearful thoughts. Whatever you are worrying about is not really happening. With visualization, you can train your mind to focus on more pleasant thoughts and outcomes which will automatically shift your mood. When your mood shifts, your outlook changes and you become a happier person. When your outlook changes, your behaviors change and consequently, so do the results you get. 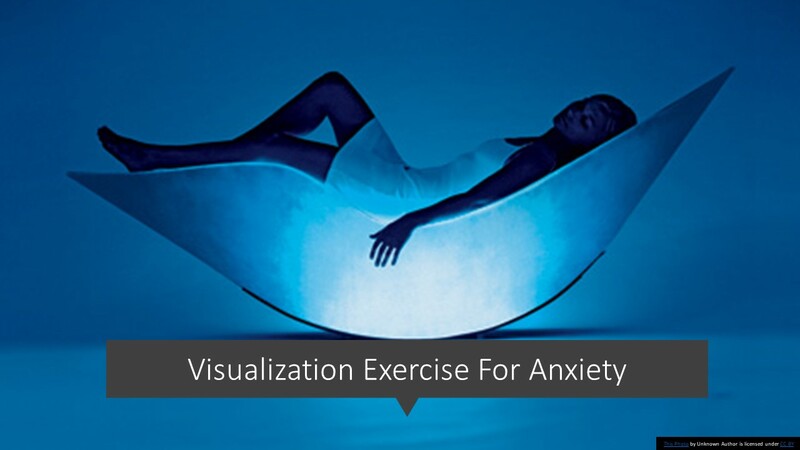 For complete instructions on using creative visualization for stress and anxiety relief, see this page. If you have ever told yourself to "calm down" or "relax," you have naturally used auto-suggestion to relieve stress and anxiety. Most of us talk to ourselves all the time. The problem is that most of the time our self-talk is negative and anxiety producing. 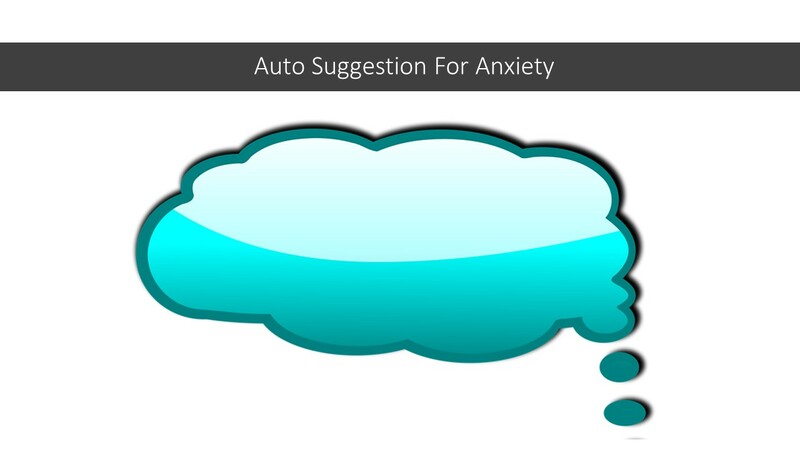 Auto-suggestion is a way to create a positive dialogue with yourself. Like visualization, auto-suggestion techniques help you change the conversation going on your mind, and help you to become more solution oriented. While there is more to auto-suggestion than simply reading a list of daily affirmations, including positive affirmations for stress reduction in your daily routine, can help keep you become more positive. Positive thinking improves more than your state of mind. Scientific research now shows that a positive outlook has measurable effects on your physical health as well. Awareness of your own self talk, is very important in learning to overcome anxiety in the long term. Whatever anxiety relief techniques you choose, being mindful of your inner dialogue, and making a habit of turning negative thoughts into positive thinking, will really help you calm anxiety in the long run. Progressive relaxation is the process of moving through your body, one part at a time, and consciously relaxing each body part. The process was developed by American physician Edmund Jacobson in 1908. Lie down on your back and get comfortable. Start with your toes. Tense them for a few seconds, then relax them completely. Use auto-suggestion to deepen your relaxation by simply telling yourself that your toes are relaxed. Then move to your feet. Stretch and tense your feet for a few seconds, then relax them completely. Continue the process moving upwards, ending with your eyelids and forehead. 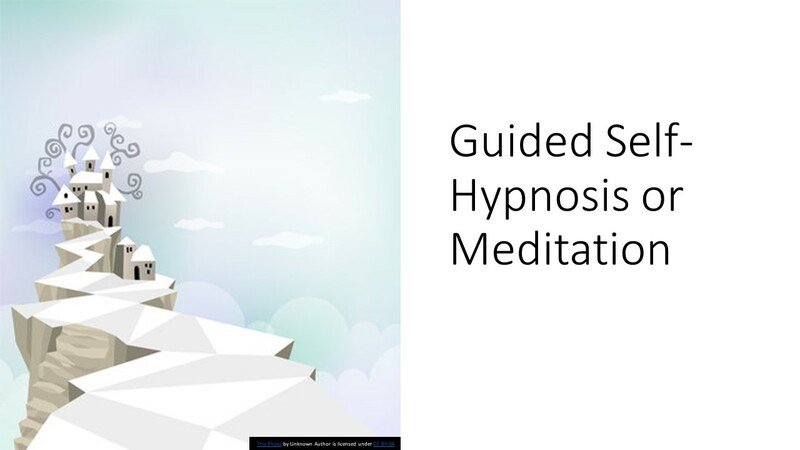 Using guided exercises that combine breathing, progressive relaxation, visualization, and auto suggestion is the easiest way to relieve anxiety. Guided exercises typically cost less than twenty bucks, which to me is well worth it, considering that you can use them for a lifetime. 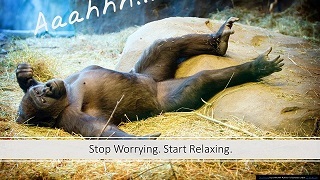 If you like, you can purchase my Relaxation audio here. 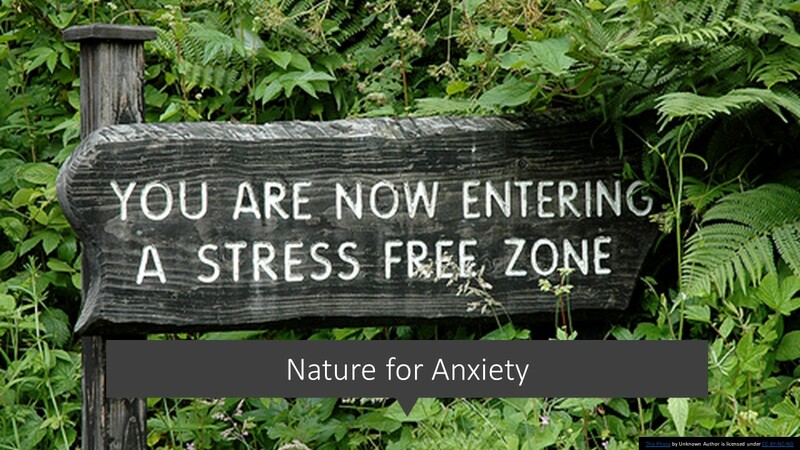 Getting out into nature is a great way to shift your energy and perspective. There are so many beautiful things in the world. Shift your focus and remember to take deep breaths. 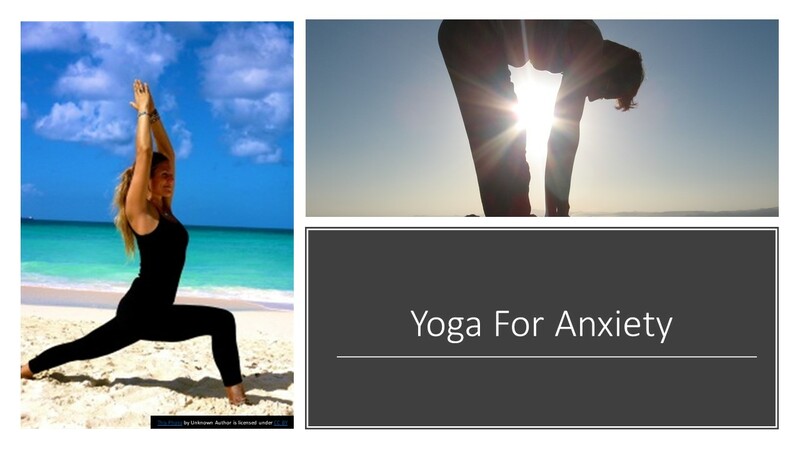 Like the other anxiety relief techniques, yoga postures shift your focus, stimulate blood flow through deeper breath, and fire off endorphins that naturally make you feel better. 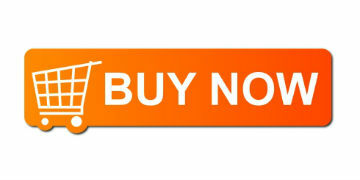 Plus yoga postures stretch and strengthen your muscles, improve balance, and increase flexibility. 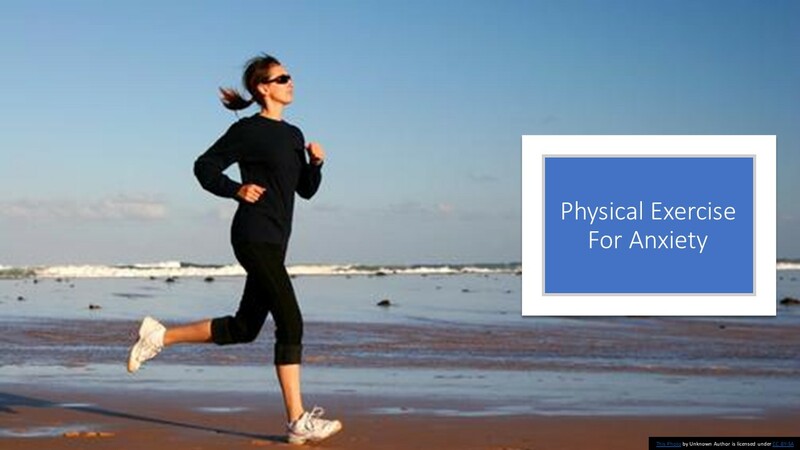 Get out and go for a brisk walk or run. This works for all the reasons previously mentioned. 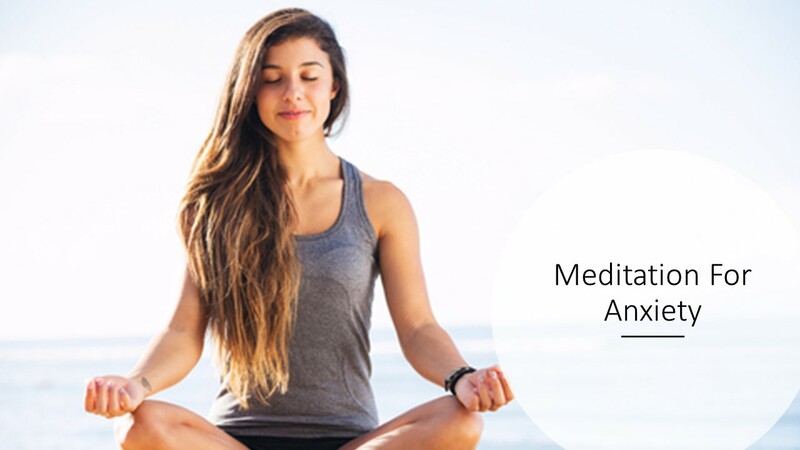 While not necessarily as quick or immediate as the other anxiety relief techniques mentioned on this page, a regular meditation practice can stop anxiety all together. Read More.